Manufacturers of liquid alts must educate the investing public on these widely misunderstood products. Boston, November 20, 2014 – The 2008 global financial crisis marked a turning point for U.S. investors and necessitated a fresh approach to asset allocation. Since then, the availability of liquid alternative investments—alternative strategies that are offered through exchange-listed, publicly traded mutual funds or exchange-traded products—has grown by leaps and bounds, but a lack of clarity about how they operate has hampered even wider acceptance. Is liquid alts' rapid growth sustainable in the long run, or is this phenomenon just another fad? 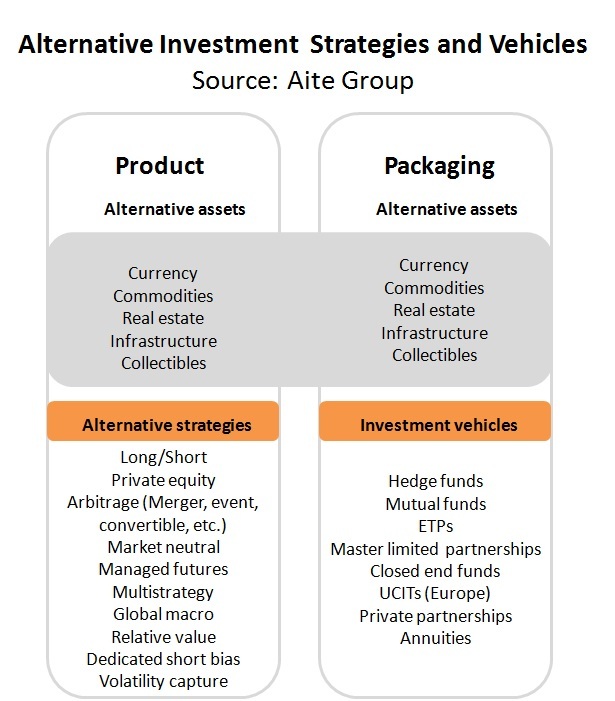 This piece, the first in a series of two on this subject, examines the key trends developing in the growth of alternative mutual funds and ETPs in the United States today. It is based on publicly available market data and information as well as perspectives gathered from Aite Group interviews with seasoned professionals. This 41-page Impact Report contains 19 figures and four tables. Clients of Aite Group's Institutional Securities & Investments service can download this report.